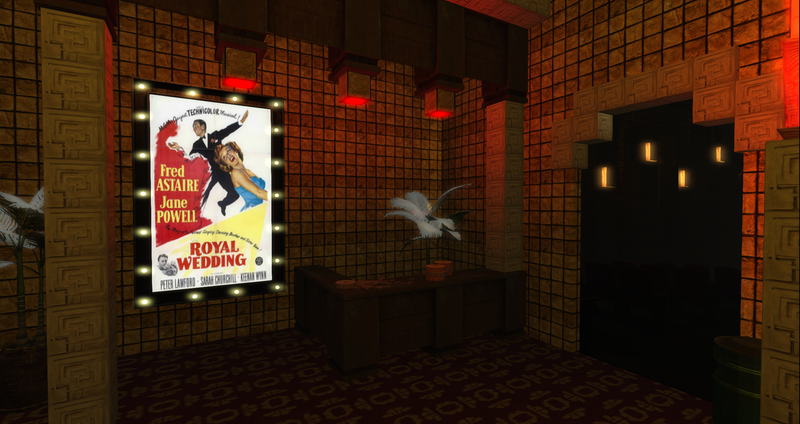 New movie theater and new movie! 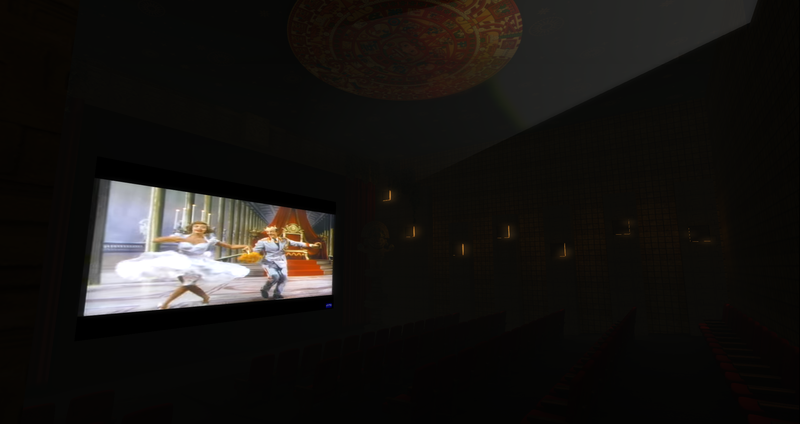 Our 1950s-60s zone has a brand new (yet old) cinema! 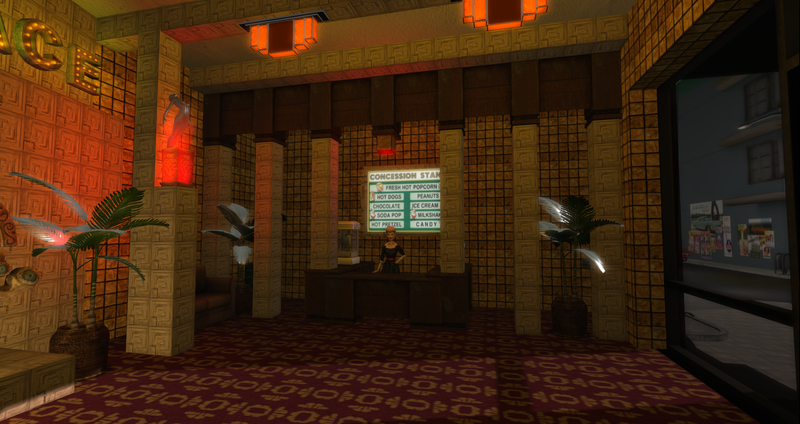 The fantastic building created by ‘Kraftwork’ has been given an unique interior by the talented Morganic Clarrington. 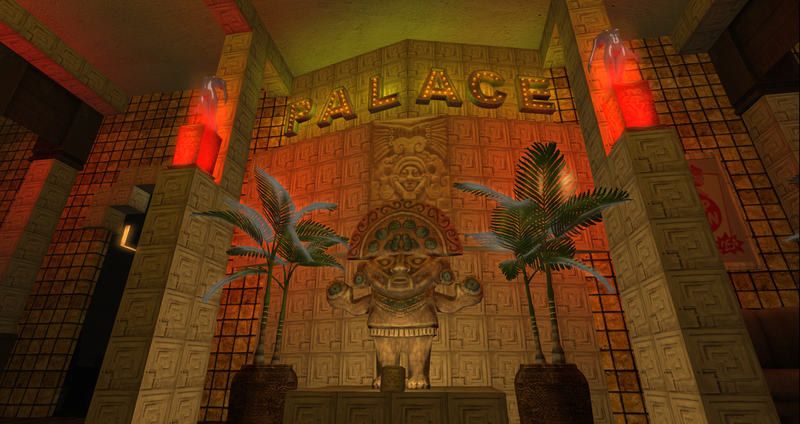 You trip to the movies will now be an Aztec adventure! Definitely a building for you to check out and one photographers will not want to miss. To celebrate we’ve installed a swanky ice cream wagon outside (made by Fin) and put a brand new roll of film on the projector. At the moment we’re showing ‘Royal Wedding’, a movie from 1951 with Fred Astaire and Jane Powell! 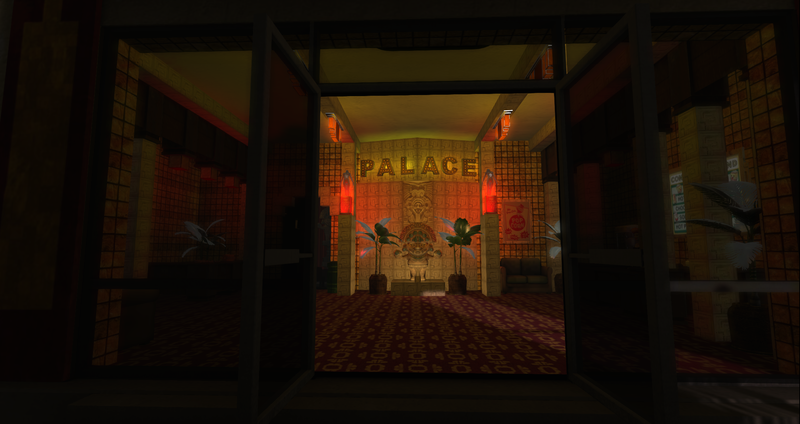 So if you’re looking for romance, music, singing, dancing and Technicolor, The Palace is The place to be! Grab a Taxi by clicking here.